Florida Gov. Rick Scott has vetoed nearly $6.3 million in funding for a half dozen space-related projects and organizations in the state’s FY 2016 budget. The vetoes include $1.5 million for infrastructure projects at the Cecil Field Spaceport and a $500,000 matching grant for the FAA Center of Excellence for Commercial Space Exploration. The full list of vetoed space funding items follows. The good folks at the Florida Space Development Council have provided this handy final report on the fates of space initiatives during the current legislative session. It was a good session overall, with most objectives achieved. In all, Gov. Rick Scott approved $22 million in space spending, includes funding for Space Florida, Embry-Riddle Aeronautical University, Florida Institute of Technology, Cecil Field Spaceport, Shuttle Landing Facility, space tourism marketing, and a partnership with Israel. The spending package also includes millions of dollars for infrastructure improvements and economic development incentives for companies relocating or expanding in Florida. Space Florida Ops Budget ($10 Million) Funded at $14.5M in House/Senate conference budget Funded at $14.5M in Senate/House conference budget Signed by governor. Space Florida Financing/Investment Fund ($7M) Funded at $5M in House/Senate conference budget Funded at $5M in Senate/House conference budget Signed by governor. $2M less than in 2013. Funding for financing deals for aerospace expansion projects. Investment Fund line (above) Proviso earmark. Funding to transition/promote SLF for new commercial and govt users. $2.5M/year for two years suggested. Cecil Field Spaceport Infrastructure ($2M) Added to Space Florida ops budget Added to Space Florida ops budget Proviso addition. Funding for Cecil Field spaceport infrastructure. Added to budget in conference committee. Space Industry Tourism Funding ($1.5M) Fully funded within Space Florida ops budget Fully funded within Space Florida ops budget Signed by governor. Recurring budget item to support tourism attractions and space tourism flight business. Israel Joint Aerospace Development ($1M) Fully funded within Space Florida ops budget Fully funded within Space Florida ops budget Signed by governor. Continued funding of joint aerospace projects with Space Florida and Israel. Included in Gov’s budget request. proposal Fully funded in Senate budget proposal Signed by governor. Workforce training incentive managed by Workforce Florida. Included in governor’s budget request. Embry-Riddle high school aerospace academies ($1M) Funded at $3M in House/Senate conference budget Funded at $3M in House/Senate conference budget Signed by governor. Recurring budget item to support/expand network of high school aerospace academies in Florida increased to $3 million. Qualified Targeted Industry (QTI) Incentive Carry-Forward HB-1209 bill died in committee SB-1422 bill died in committee Would have allowed more than one year for QTI recipients (including aerospace firms) to use tax credit allowance, or sell credits to other firms. Governor’s School for Space, Science & Technology ($500K) Added to budget in conference Added to budget in conference Vetoed by governor. Continued funding for a space & technology school program for gifted students. Florida TaxWatch is urging Gov. Rick Scott to veto $2.5 million worth of infrastructure improvements for Cecil Spaceport. In its annual review of legislative spending bills, the group identified the project as part of $120 million in spending qualifying as Budget Turkeys. The funding is part of Space Florida’s operating budget. The Jacksonville Aviation Authority (JAA), which controls Cecil Spaceport, has signed a tenant agreement with Generation Orbit Launch Services, Inc. (GO). The Atlanta-based company is developing an aircraft launched rocket to place small satellites into orbit. May 9, 2014 (FSDC PR) — The Florida Space Development Council (FSDC) applauds the state legislature’s continued support for space industry development and diversification. During the recently concluded annual legislative session in Tallahassee elected officials approved $22.5 million for aerospace programs in 2015, with an additional $20 million available through the Florida Department of Transportation for space transportation infrastructure. For a country that had a mere 13 orbital launches last year and a handful of suborbital ones, the United States certainly has an embarrassments of riches in terms of places from which to launch. The nation has 18 launch sites and spaceports in eight states and one foreign country (Marshall Islands). That doesn’t include Sea Launch, a company that launches from an ocean platform in international waters using a U.S. based platform. And if that wasn’t already enough, there are 10 more proposed facilities that are under consideration or being actively pursued by different entities. So, whenever companies can actually start increasing the rates for orbital and suborbital flights, the country’s ready to accommodate it. In the meantime, we’ve got a lot of underutilized infrastructure. The Daily Record of Jacksonville has an interesting story about Cecil Airport, the former military base that has become a thriving commercial airport and future spaceport. The facility is anticipating rapid growth and has the cash to attract new companies. Cecil Airport currently has 3,000 people working within its boundaries, but Jacksonville Aviation Authority CEO Steve Grossman said he expects that to grow to 8,000-9,000 in the next 10 years. Within five years, he expects more than 5,000 people will be working among the civil, defense and aviation companies on the Westside property. That includes companies and facilities he expects will be created or relocated. 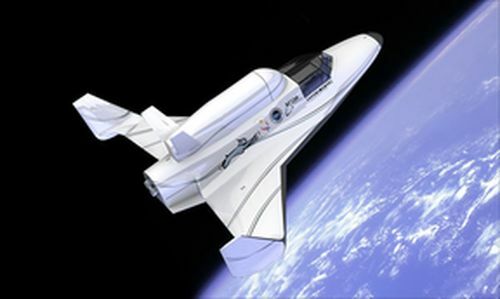 Various Florida agencies put up more than $5.7 million in “incentive value and financing” to help lure XCOR to set up a production facility and operational base for its Lynx space plane in the Sunshine State, according to the head of the state’s space development organization. The funding and incentives are being put up by Space Florida, Brevard Workforce, Enterprise Florida Inc., and the Economic Development Commission of Florida’s Space Coast, according to a presentation by Space Florida President Frank DiBello during the announcement of the deal last month. Kennedy Space Center, FL and Mojave, CA, August 23, 2012 (XCOR PR) — Today, XCOR Aerospace announced its intent to establish an East Coast U.S. operational base in Florida and as market demand dictates, establish a manufacturing and assembly center for XCOR Lynx Mark II suborbital reusable launch vehicles as well. Tallahassee, FL (Space Florida PR) – Aerospace-related economic development remained a top priority for the State lawmakers during the 2012 Legislative Session, with Space Florida’s current $10 million budget remaining stable through the upcoming fiscal year. As part of this commitment, a first-time award of $4 million in recurring funds was also approved for the organization. Cecil Field in Jacksonville, recently designated a commercial spaceport. JAA PR (January 25, 2012) — The Jacksonville Aviation Authority Board of Directors has accepted a grant from the Florida Department of Transportation to conduct an Environmental Assessment, which will examine the environmental impacts and investigate the feasibility of the operation of a Concept ‘Y’ Horizontal Launch – Reusable Launch Vehicle (RLV) at Cecil Spaceport. 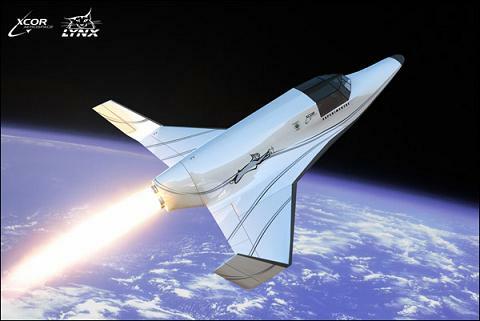 While Concept ‘X’ and Concept ‘Z’ Vehicles take-off using the typical turbojet engines to reach a predetermined location and altitude before igniting a rocket engine, Concept ‘Y’ Vehicles are powered by a rocket engine for the entire span of their operation. In January 2010, after completing the original Environmental Assessment and Launch Site Operator’s License application process, JAA was issued a Commercial Spaceport license from the Federal Aviation Administration (FAA). The license allows the airport to accommodate 52 horizontal takeoffs annually of sub-orbital horizontal launch vehicles. Florida is close to designating Cecil Field as a spaceport, which would allow the Jacksonville-based facility to access state funding and companies there eligible for tax breaks. A bill filed by state Sen. Stephen Wise, R-Jacksonville, and state Rep. Lake Ray, R-Jacksonville, would officially designate Cecil Field as a spaceport territory at the state level. 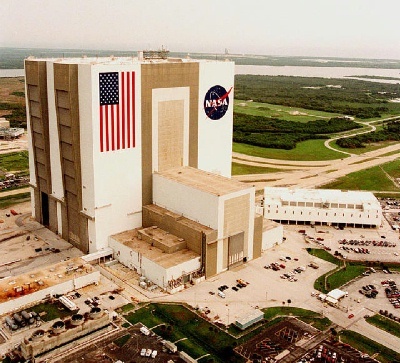 That recognition would allow Space Florida, an independent special district that advocates for Florida’s space industry, to offer incentives to attract space-related companies to the area. Space Florida officially designated Cecil as a “Space Territory” on June 9. Getting that designation means the Florida Department of Transportation now has legal authority to fund spaceport-related transportation facilities within Cecil to better accommodate horizontal launch space travel. JAA will now be able pursue funds to design and construct new roadways, taxiways, and assembly and payload facilities at Cecil Airport. A Spaceport Master Plan is expected to be completed in the fall. JAA already received a spaceport license from the Federal Aviation Administration for the former military base. If it meets eligibility requirements, the backing would mean the transportation projects associated with the development could receive North Florida TPO allocated dollars.